Hi there! Thanks for stopping by! We mean it. Who would have thought someone would actually want to know more about us? To be honest, we never thought we would ever write a page like this, but here we are. So let’s get to what really matters, right? We’re Bruna and Frank, couple & travel bloggers who run this super cool blog (just for you!). Bruna was born and raised in the largest city in the Southern Hemisphere. Guess where! Yep, it’s Sao Paulo, Brazil. She was raised learning 3,5 languages because she thought she could learn so much in so little time. Silly. ‘But 3,5 languages? What does that even mean?’ That 0,5 means Spanish. Since it’s such a similar language to Portuguese, it’s easier for her to learn it. ‘Ahhh, OK! So she is fluent in Spanish?’ Not even close. Fun fact 1: Brazilians speak Portuguese, not Spanish. Let’s move on from her fails. Although her passion was writing, she went to Economics school because everybody said she had to make money after studying it. In other words, money, not happiness. Oh, you naughty society. Anyway, she graduated with honors in one of the best universities in the country, worked for renowned multinational companies, and had everything set as expected. But…(there’s always a ‘but’ at this point of stories, right? Yes, this one is not different) she was missing something. She would arrive at her well-positioned job and would start counting the minutes to 5 p.m. She even thought she was the problem. Poor girl. So, once upon a time (a bit too late for that, I know. Sorry)…she decided to leave Brazil to be an au pair in Amsterdam and make a change in her life. Whatever that means. 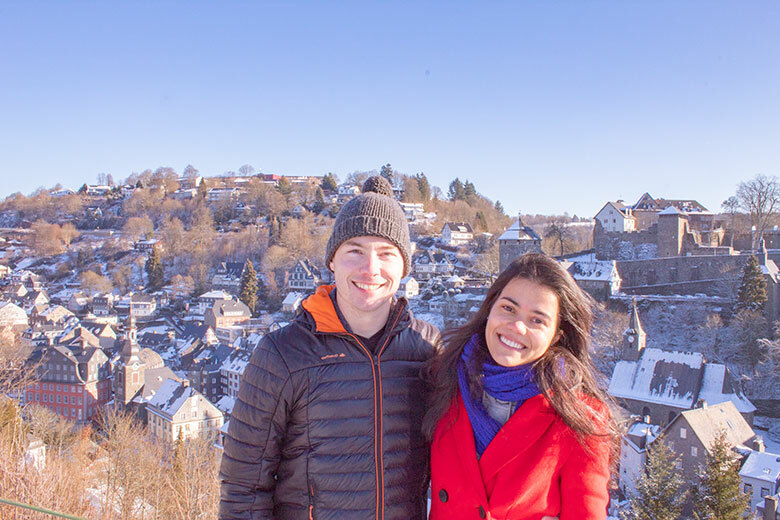 Being an au pair made possible for her to travel more around Europe in the most diverse ways: Hitchhiking, by bus, train, and, of course, by plane. Bruna eventually found a job, got married, and had everything working perfectly. Hint: She didn’t feel that way. One of her teachers used to say whenever she was late to class. Bruna finally had the brilliant idea of creating a travel blog with her husband and working on something she really loves doing: writing. No, Bruna’s not of those “wanderlusters” who decided to leave her job to travel the world and find herself. She goes on many trips and works, both of them at the same time now. After four years of traveling solo and sometimes with friends or husband, she became AWESOME at planning things down to detail and finding better ways to travel. A real professional traveler. She had mind-blowing experiences in different countries as well as some fails too (Nothing is perfect, right?). Bruna made many mistakes on the road, got pickpocket, her phone was stolen, got sick, planned too much in too little time, and forgot sunscreen at home. That’s exactly why Bruna feels confident enough to offer you one tip for the future: wear sunscreen. The rest of her advice has no basis, more reliable, than her own meandering experience. If Bruna were to be described in one word, which is something very very difficult, friends would say she’s a curious person. Hence, she loves to have and learn the most information possible regarding the place she’s traveling to. While Bruna is at that destination, she can’t stop exploring and discovering more aspects of this new culture. That’s why Maps ‘N Bags is focused on providing you with as many cultural experiences and travel tips as she can write! Bruna also enjoys writing about those things most people ignore, the unpopular truths. Why? Because there are some touchy topics most travel bloggers avoid mentioning, such as overtourism, dark tourism, and so on. Her husband, her family, this blog, and homemade pepper sauce (my recipe is in the comments below). 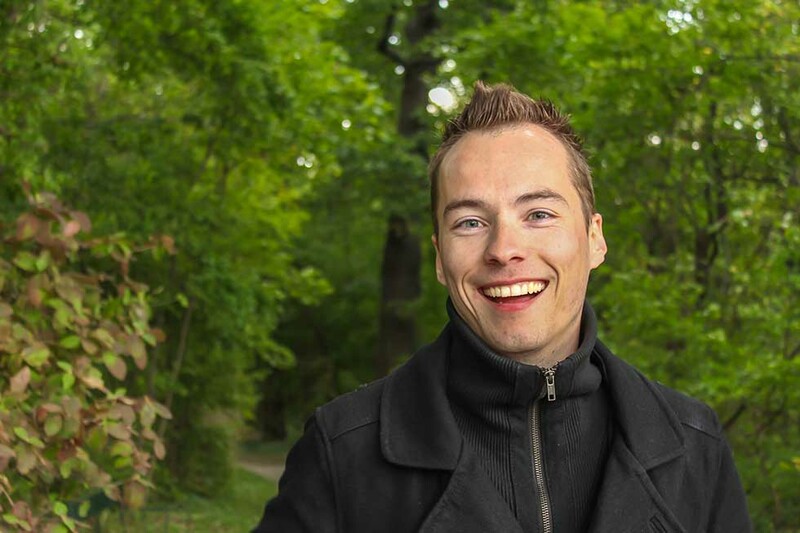 Frank was born in the beautiful city of Maastricht and raised in a village called Echt, famous for being the narrowest part of a small country: the Netherlands. He grew up learning 4 languages, and today he speaks 4,5. Here we go again. ‘What does that 0,5 mean?’ Well, that’s Portuguese, which he learns because that’s his wife’s mother tongue. As a real Dutch, he left his mother’s uterus riding a bike, and the cold (or the bad weather) is a daily reason to complain. But that’s all. He has a very charming southern accent, but hey, he’s married. Thanks to Tinder. Yes, thanks to Tinder Frank and Bruna met in 2015 in Amsterdam. Since then, he found a partner to travel the world and watch Netflix with. Fun fact 2: Although the Netherlands has 2 official languages, Dutch and West Frisian, the cities and villages in the Southern part of the country have their own dialects, which sounds very different from Dutch (or Frisian). Frank studies Communication and Multimedia Design in the evening and works as a technology tester during the day. In his free time, he plays soccer (or football for our UK readers), works on the design of Maps ‘N Bags, writes about photography, and plays video game (something like Call of Duty or Rocket League). Anyway, he goes on a bunch of city trips to photograph stylish (and preferably modern) constructions. The more futuristic, the better. However, sometimes he likes to escape this agitation and relax on a warm and breezy beach (don’t forget the beer). Frank is not only funny, but he’s also creative above the average. Or whatever that online test meant. He creates AWESOME logos and takes pretty cool photos. That’s why Frank is convinced he can give you lots of photography tips for your travels. So, nice to meet you! Well, we introduced ourselves to you. We told you about our journeys, the things we love and why we do what we do. Now, let’s begin with your journey. Cool! You’ve signed up, but don’t forget to stalk us on social media! Yaaay! Now there we’re friends, check out some of our articles below so you can travel smarter and better! Place all ingredients in a blender; process 1 minute or until completely smooth. Store in a clean glass jar in the fridge. Be sure to wear gloves !! I think you are pretty woman and yes selfie and you is a good combination. Thanks so much, Angelo! Your kind words mean a lot to me!